The prelims for Saturday night's UFC on ESPN+ debut show from Brooklyn, which aired on ESPN and were headlined by Donald Cerrone's second round TKO win over Alexander Hernandez, averaged 1.956 million viewers. That number is higher than any Fight Night prelims show or pay-per-view prelims during the FOX/FS1 era. It's the highest prelims audience total since the prelims for UFC 126 in February 2011 did two million viewers on Spike TV. The UFC 126 prelims were also headlined by Cerrone, who defeated Paul Kelly. In fact, only two main cards on FS1 beat this number, with Conor McGregor's January 2015 fight with Dennis Siver at 2.751 million viewers and TJ Dillashaw's January 2016 fight with Dominick Cruz doing 2.288 million. The show did have a strong lead-in with the Virginia/Duke NCAA basketball game that immediately preceded it doing an average of 3.764 million viewers. 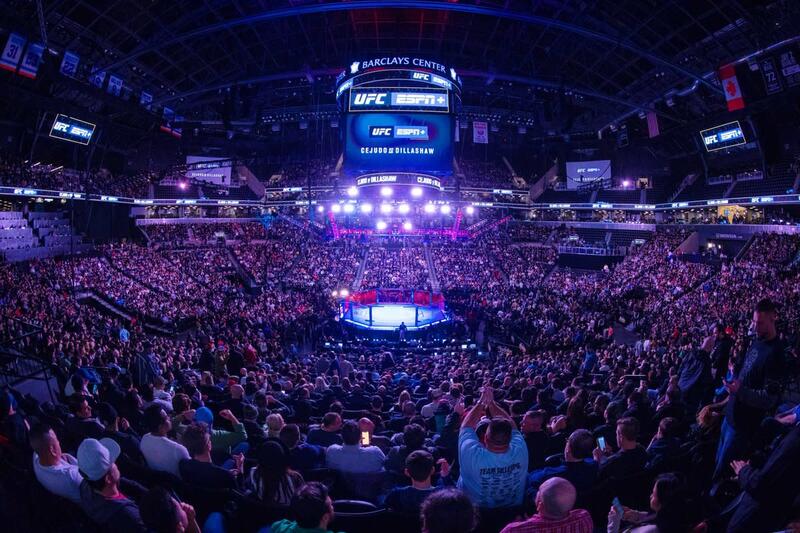 While streaming numbers for the main card are not available, UFC and ESPN have claimed 568,000 people signed up in the two days before the show and that it was the highest streamed event ever on ESPN+.